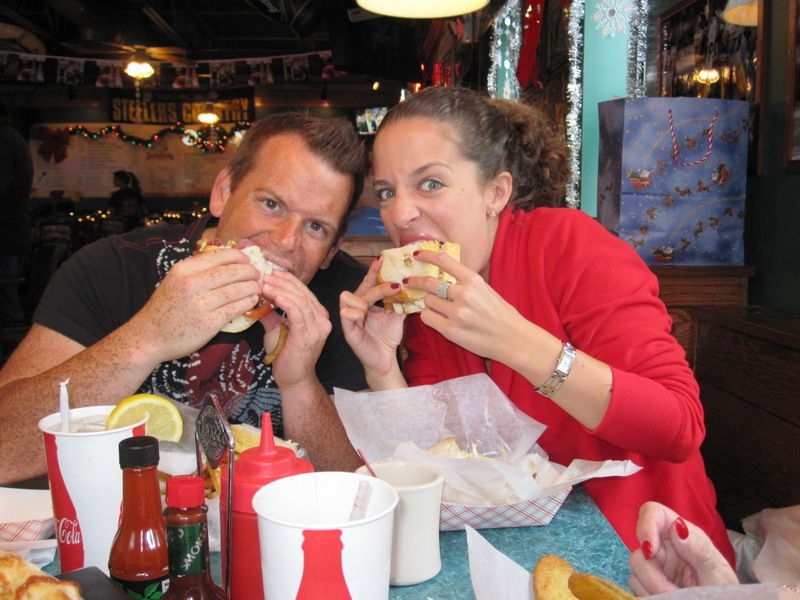 That's right, I said sammiches. That's what we call 'em in Pittsburgh. 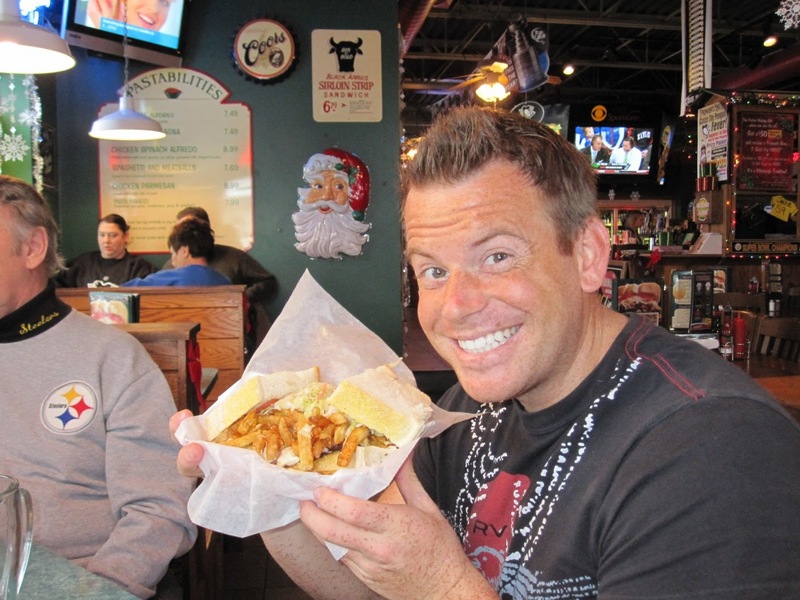 If you have seen ANY type of Travel Channel, Food Network, Cooking Channel, or other food related show on 'da Burgh you've heard about Primanti Brother's sandwiches. Fresh Italian bread (Mancini's, to be exact) stacked with the meat of your choosing, provolone cheese, tomatoes, french fries and coleslaw! The story goes that waaaaay back in the day the late night workers (literally - not "ladies of the night!") 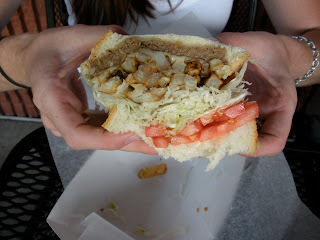 wanted a hot meal and Primanti's put the side dishes, slaw & fries, on the sandwich so it could be eaten with one hand! Now, maybe you haven't seen one of these shows or heard of this goofy place before... Even so, I'm SURE you know that the Steelers, Pittsburgh's NFL team, is playing in the SUPER BOWL this Sunday! (OMGOMGOMGOMG I'M SO EXCITED I COULD FAINT!) My cousin Darren is throwing a party for the game, complete with Steelers balloons, decor, gumbands, etc. We're having Pittsburgh foods - pierogies (see Pierogies N'at if you don't know what those are, either), pepperoni rolls, a Steelers cake, and my friend Deanna and I are making our very own Primanti's sandwiches! We did a practice run on Monday and they were awesome. 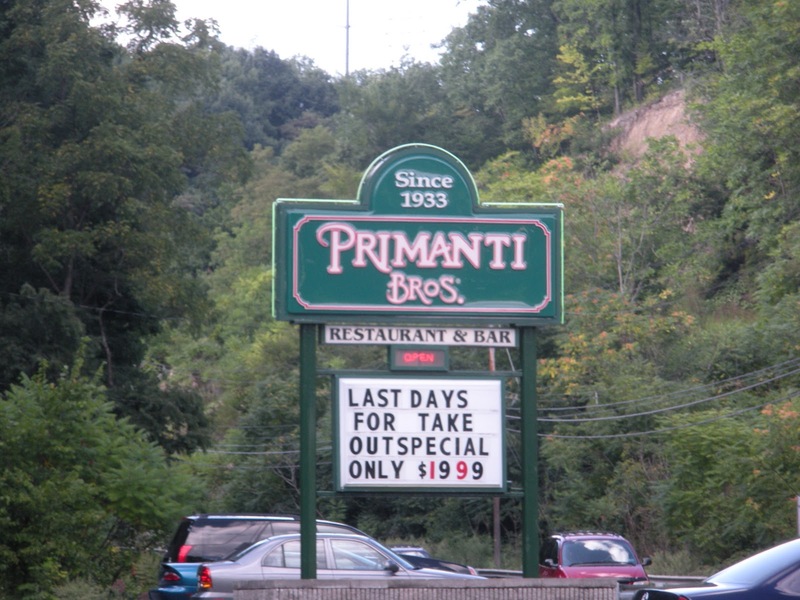 More on that in Primanti's Part II. 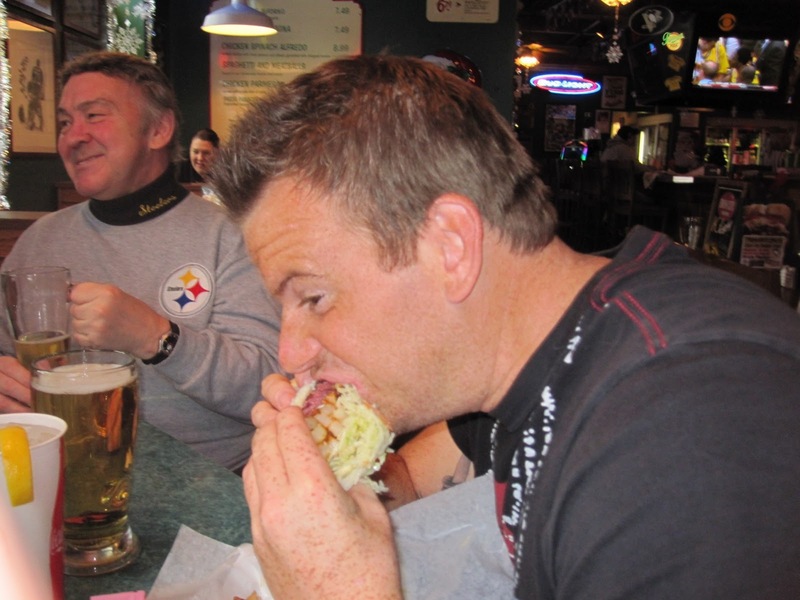 Today I just wanted to get excited about the game and let you know what Primanti's is all about. Still want more? Here are some pics, n'at! Close of up the huge sammich! Bryce's first visit to Pittsburgh, we took him from the airport to Primanti's! 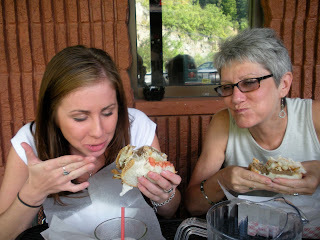 My cousin Vanessa & Aunt SLynn trying Primanti's for the first time - doesn't it look like fun?!? !